Push your limits as you trek 30km or 60km along scenic coastlines, high clifftops, rough bush trails and thigh burning soft sand. Learn teamwork, resilience and grit as you and your squad treks to change lives! Coastrek is a life-changing adventure. 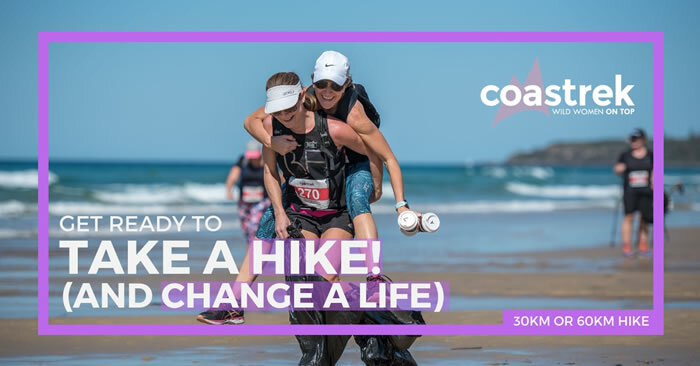 When you sign up for Coastrek, you embark on months of adventure - planning, preparation, training, fundraising, chatting, walking, shopping and you raise funds for good. Join us and experience the magic.